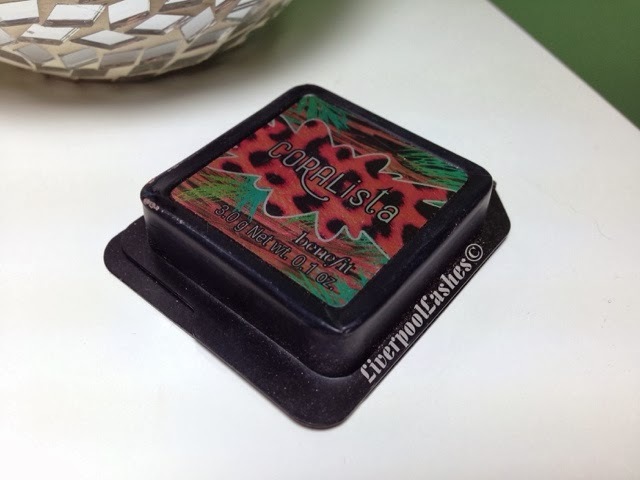 If you search the internet you'll find gallons of reviews of Benefit Coralista blush, but here is mine. I have the small sample size so that's why the photograph doesn't show it in it's chunky cardboard box, again there's millions of photos if you want to see the true packaging. To start with the packaging as I have got other boxed powders from them, to be honest I'm not a big fan. They're fairly sturdy, that's not the issue but to me at nearly £24 I feel like it makes them look cheap. I don't know why but I'm being completely honest. The colour in the pan is beautiful, an orange/peach with gold shimmer, it's the epitime of spring/summer make up for me. When I swatched it I was a little suprised by how light it is on my fairly pale skin but I reserved judgement. Using this blush on my cheeks I do think it is gorgeous. I think a combination of the subtle colour and the shimmer means it almost has a highlighter quality about it. It's the sort of shade that you can be a little heavy handed without fear of dolly cheeks! 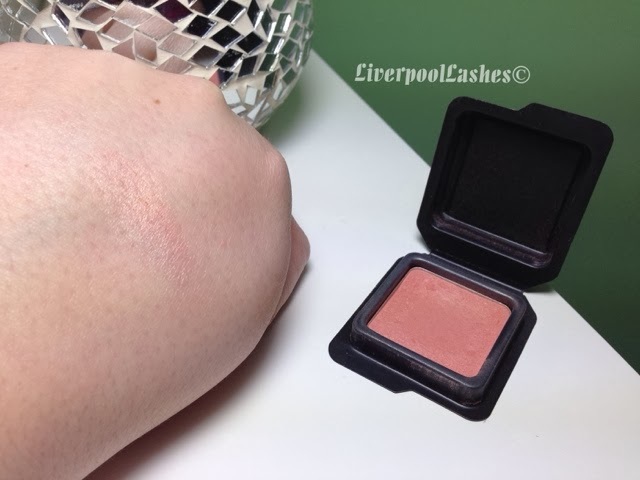 Although I think this blush is a beautiful colour, I''m unsure if I would repurchase it. The reason is, when the time comes I'm probably going to look for a cheaper alternative to avoid the £24 which I think it a lot for a single shade. If I can't find one I would be suprised but only then would I purchase the full size box. I've got this little sample size too. I'd forgotten about it to be honest so I might dig it out today. I don't think I'd buy the bigger size either as there's so many other blushes I prefer but I'll still get a bit of use out of this.